Great job! Would definitely recommend, very happy with James’ work. Very knowledgeable and job was done on time. Kitchen looks amazing. Thanks Denise. If you need anything else let us know. James from “The final coat T.O” was absolutely amazing. His knowledge and experience helped transform our kitchen completely and we could not be happier. We had four quotes but James stood out above all the rest. He was on time daily and always kept us apprised of the project and schedule. His work and attention to detail was next to none and the final product looks as if were a brand new kitchen. All of our friends and family think we removed our old kitchen and started fresh and that’s the best compliment to his work and our new kitchen!! Everything from knob selection to hinge upgrades was made easy as James was a true professional!! We recommend him 110% and are already planning our next project with him! Thanks James and the team at The final coat T.O! Stop looking, stop researching. This is the Company you are looking for. I'll get right to the points you need to know. James is the owner and the person doing the project. He doesn't just send workers to carry out a salesman's promise. James goes above and beyond the call to please. I think we were especially hard to please because we were unsure about everything: the wood coverage, colour, finish, handles, etc. James was SO patient with us, I never felt pressured to decide hastily without being sure. He was never pushy or talk down to us like many contractors do, and helped with every tiny little aspect of the project, responding promptly to all our numerous questions in between the work. His true goal is to please the customer. He was on time with EVERY part of the project. The timeline of work was bang on. Cleaned up each day, and each day was not late in the day, which I liked. Job was completed in the timeline exactly as promised. It's obvious he is well skilled in time management. The work is terrific - I can't believe how well the paint went over oak. So many people tell you not to do it but now I know it can be done when it is done professionally and properly from someone with experience. 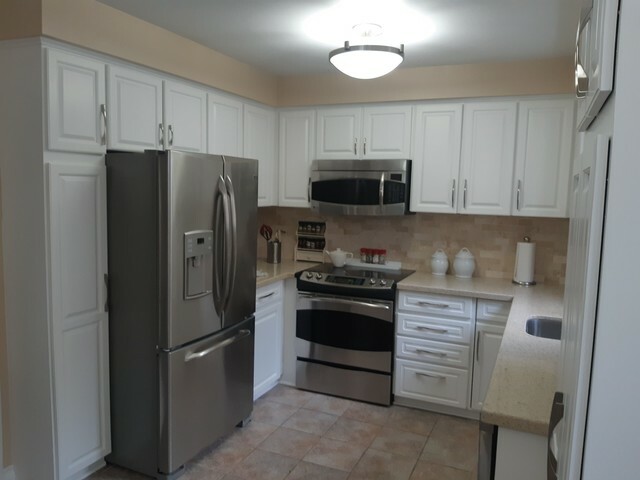 We have an updated, fresh kitchen for a fraction of the price of a new one. Full recommendation here and James, feel free to use us as a reference for anyone else. Thanks guys it was my pleasure working with you. I am always here for the customers and help bring your vision to life. Don't be a stranger. The Final Coat T.O. 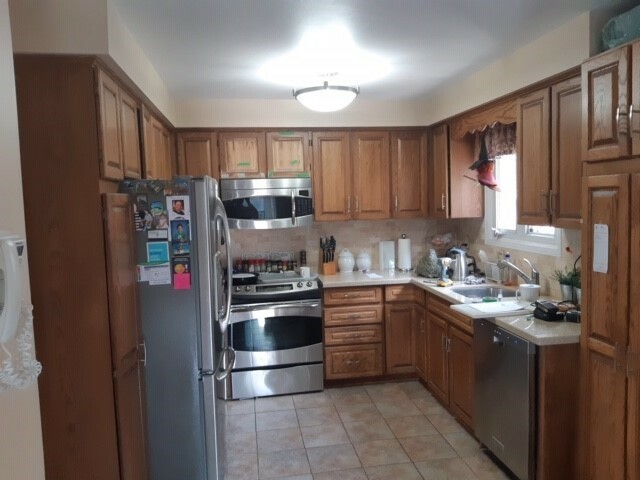 refinished our kitchen cabinets. The pricing was excellent and reasonable and I can attest to the fact that the quality of work is very high. James is very friendly, professional and talented. He pays close attention to detail and prides himself on his work and customer satisfaction. I definitely recommend The Final Coat T.O. I will not hesitate to contact them again for work in my next home. Thanks for the amazing review!!! Apologies for the late review, but better late than never. I am writing this review today, 2 years after my kitchen was serviced. My wife and I absolutely love our kitchen which still has a beautiful shine and glow as it did 2 years ago. 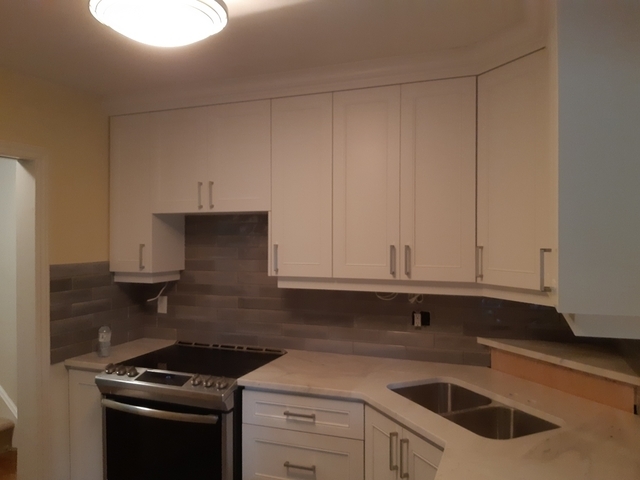 The Final Coat definitely had the best pricing around for what we did; backsplash and refinishing cabinets. When we first contacted the team we were blown away with the professionalism and impeccable customer service that was provided to us. We were explained everything in detail and what was promised was drivered above and beyon. Thank you so much. Thanks for the amazing review, I am very glad to hear everything is standing the test of time. Have a happy holidays and if you need anything at all don't hesitate to call. Final coat did such a great job on my kitchen. They are reliable, friendly, professional, and punctual. They explained what the process was every step of the way. I would definitely recommend final coat!!! Thanks Anna, if you need anything else let us know and we will be happy to help. Have a happy Holidays. I was absolutely thrilled with the incredible new kitchen that James helped create. He is extremely professional with exceptional attention to detail and skill. 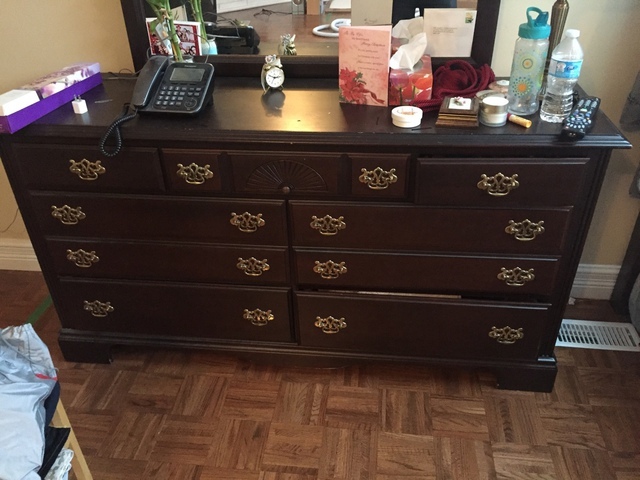 I started off unsure whether to paint my old oak cabinets. 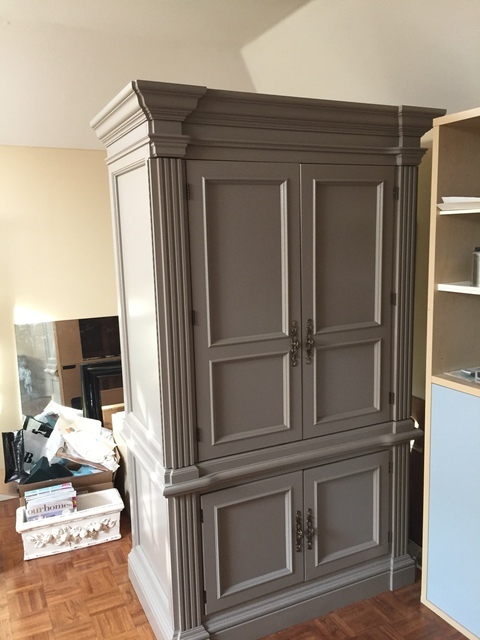 He provided a sample which convinced me that what I really wanted was to start with new cabinet doors. James expertly measured for new solid maple doors and sourced an excellent supplier. 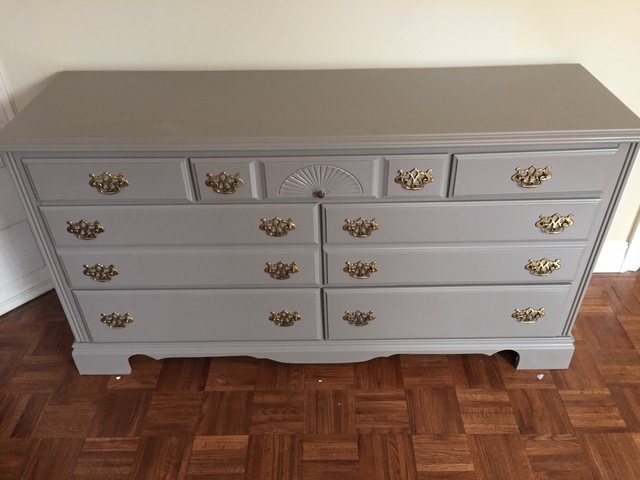 He sprayed the uppers Chantilly Lace and the lowers Hale Navy, both Benjamin Moore colours. He installed brand new high quality soft-close hinges. The on-site spraying of the exterior areas was great and the results of a spray finish are far superior to a brushed or rolled finish. He installed the new hardware and completed the last touches. The exceptional results speak for themselves. Working with an intelligent, considerate and client service oriented person made all the difference. The Final Coat T.O. headed by James receives my highest recommendation. 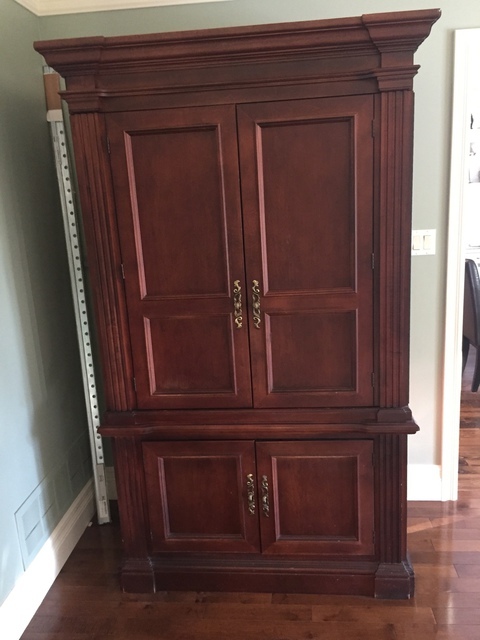 The price included brand new maple cabinet doors (no MDF or plywood), all new soft close hinges, and the incredible painting of the cabinets. I should mention that he installed new edge banding at no extra cost. It is the best reno money I have ever spent. James and his assistant, Mike are warm, friendly and professional. 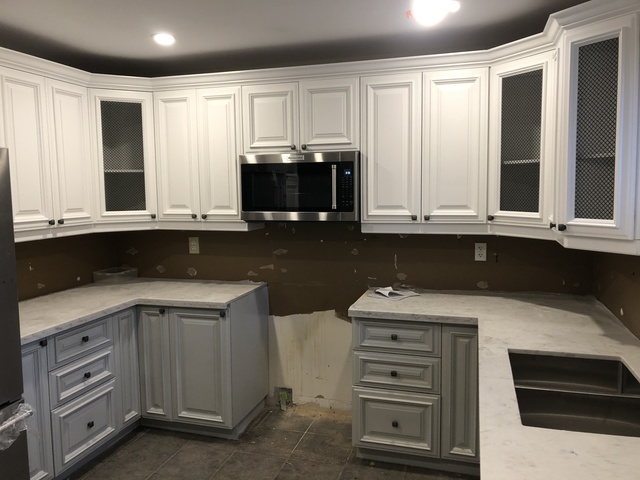 They went out of their way to communicate each step of their kitchen cabinet re-facing process. James is highly organized and completed the work on schedule as promised, and with exceptional quality. He also worked to make it a stress-free experience for us. We feel very fortunate to have found him through homestars. He is entirely worthy of the five star rating that prompted us to hire him! Thanks for the amazing review Hedy, I hope the rest of the renovations finish without a hitch. If you need anything else you know who to call. 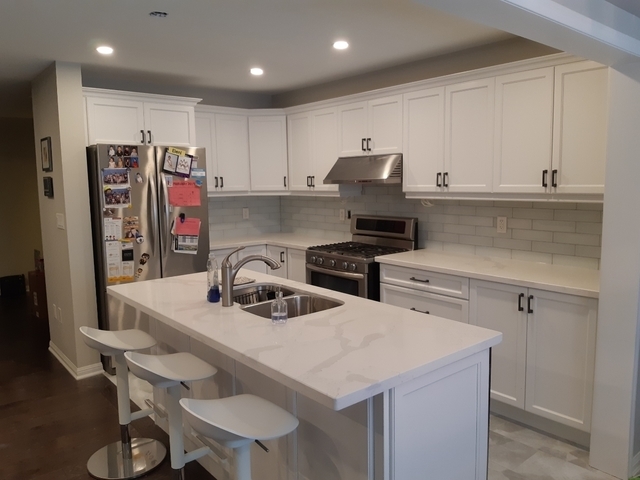 James repainted our entire kitchen from an old fashion yellow oak to a beautiful white colour that really freshens and brightens up the room. Throughout the process, James was professional, polite and reliable. This was 3 years ago and they still look amazing! At the time he was working for someone else, but recently I went searching for him to do some additional work. I was delighted to learn he opened up his own shop and doing very well. I needed his help again as I accidently damaged a couple of cabinet doors (including hammering 2 nails through one of them). He immediately took care of it and restored them to look brand new. At no additional charge, he also fixed an old hinge that came loose and touched up a few spots that got scratched (our own fault). James takes great care and pride in his work and best of all, he's a man of his word. I would not hesitate to recommend him to friends and family for any kitchen refinishing they need. Thank you James! Thanks Lucy. If you need anything else you know who you call. Have a great day. I would definitely recommend James for the amazing work quality, communication, timeliness and knowledge. 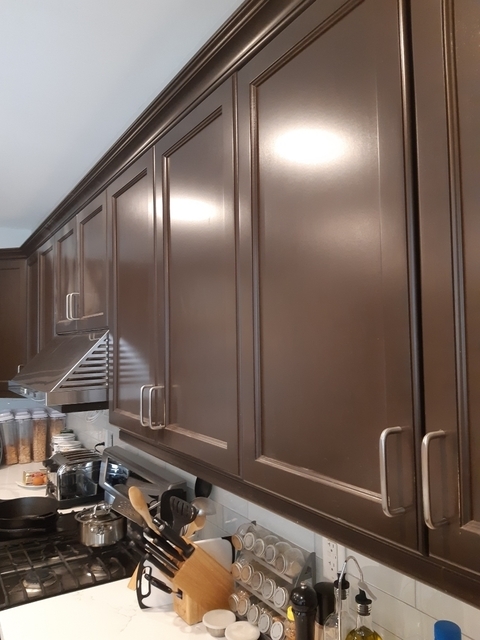 He helped us choose the colours for our kitchen cabinets, as well as provided insight and recommendations for other renovations we are having done. James is a great person and very easy to work with. I will 100% be recommending him to others. Thank you! Thanks for the awesome review, if you need anything else or would like me to help with your closet I am always here. 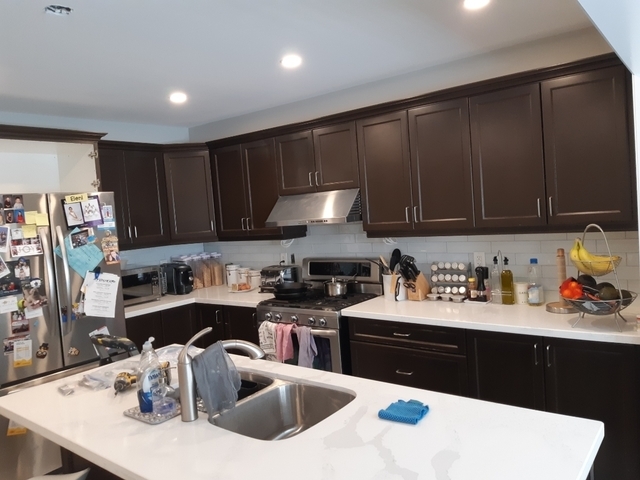 Our Main mission is too give the homeowner a new revitalized look to their kitchen, while maintaining an above and beyond attitude throughout the cabinet refinishing process. 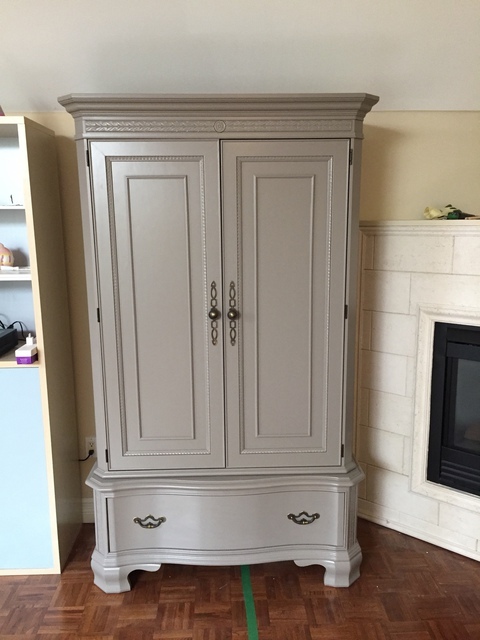 We promise to deliver you high quality cabinet refinishing services, at the right price. At The Final Coat T.O we treat our customers and their households environment with the proper respect they deserve. We pride ourselves on our reliability and our work. Whether it be a kitchen or a small vanity we consistently maintain our high standards throughout the project. We also offer free onsite quotes, where we will take the time to give you recommendations towards choosing the proper colour and hardware. 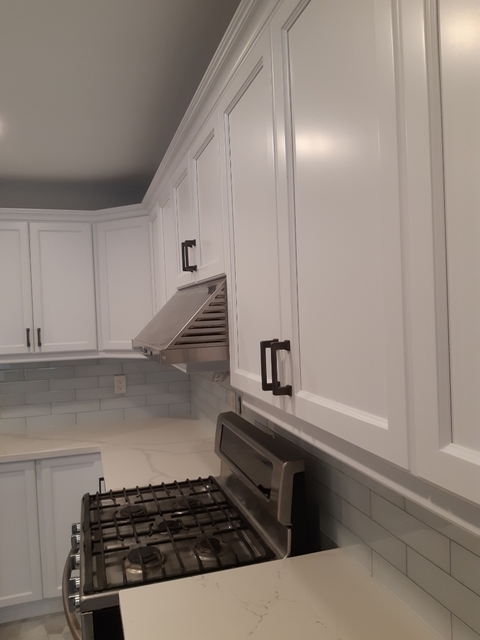 The process involved for revitalizing your cabinets takes 3 simple steps, and you can be involved as much or as little as you like. 1st step: Give us a call so we can arrange a date for the onsite quote. During this quote we will get a feel for your kitchen and ask a few simple questions that will help determine the proper quote. 2nd step: If you decide to go with us we will set up a date for our team to return to remove the cabinet doors and do the onsite spray. The steps that we take for our onsite spray can be seen on our facebook page. For the Onsite spray we will require for you to remove all the items from your cabinets prior to our arrival. This will ensure no overspray gets on anything. The onsite spray process only takes one day, depending on the size of the kitchen. 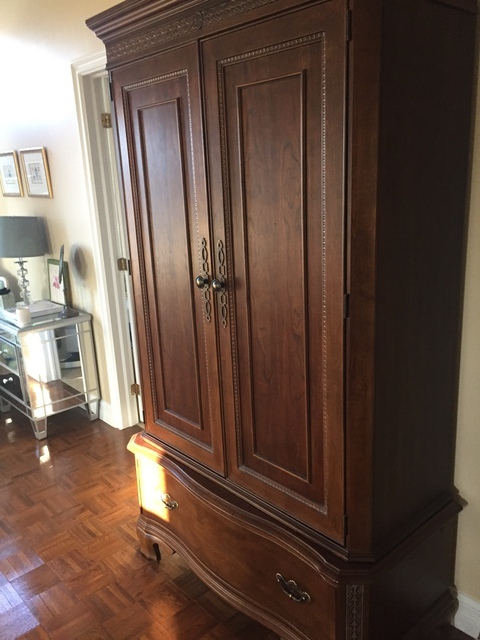 Step 3: We will return 7-10 days later to reinstall your newly refinished cabinet doors. That is the entire process, and at the end you are left with a reborn kitchen in which you can show off to your friends and family. We also give a written 3 year warranty on our work. For a free online or onsite quote call (416) 602-2690 or e-mail us at thefinalcoatto@gmail.com. Thank you and we look forward to working with you.